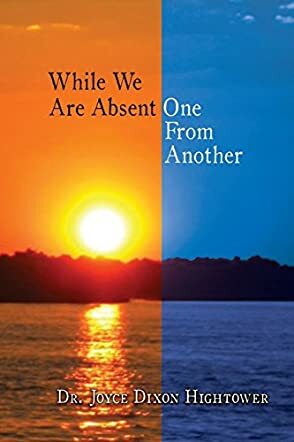 While We Are Absent One from Another by Dr. Joyce D. Hightower is the last story in a three-volume series. It follows the saga of the Johnston-Anderson family and is based on a true adventure story. The plot unfolds in the United States of America where one member of the fourth generation family, Dr. Salome Delgado, receives a call from her brother, Moses, a dedicated NGO organizer in Kenya. What follows will introduce us to two continents and the remarkable courage, persistence, and loyalty that comes naturally to all members of this clan. Against the backdrop of a life-threatening virus, and the social and political changes of a fast-paced world, the young members of the family come of age. Dr. Joyce D. Hightower's While We Are Absent from Another is an inspiring story set in the present time. What makes it highly interesting is that it is set on two continents and is about a family legacy that lives on in the fourth generation. In a dialogue-driven and fast-paced story, the reader follows various members of the clan as they each face life's challenges. And, in the end, one is inspired by the significance of loyalty to family, clan and community. Dr. Joyce D. Hightower's creative writing style is casual and direct so it is quite easy to understand. And While We Are Absent from Another makes one think about one's family legacy and what has to be done so that the future generation can learn from the previous one.